Castle Rock - Harvest - Review: "Are You the Devil?" 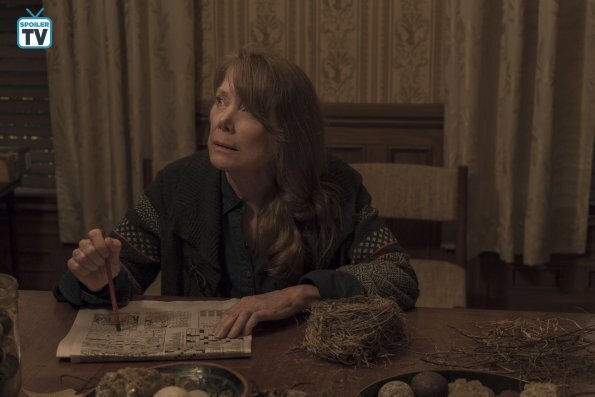 Castle Rock reached the halfway point in its season, as things up the ante once again over the course of the episode, coming to a head with a memorable climax. 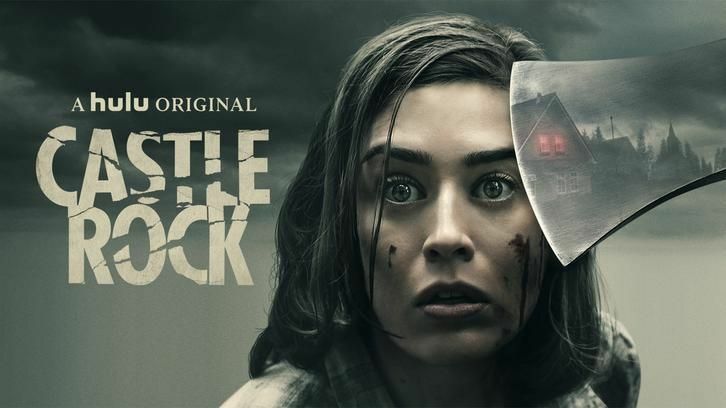 But memorable climaxes seem to be the norm for Castle Rock nowadays, making the wait between episodes all the more annoying. One of the most exciting character additions to Castle Rock so far has been Jane Levy's Jackie Torrance. She's a character who wants to be in a Stephen King story finding her life dull and boring, unaware that she is in the middle of one and it won't be too long before things go south for her, as they are seemingly doing for pretty much every major character in Castle Rock now that The Kid is out and walking free. The area burns with frequent wildfires, and although there are more wildfires than before in real life, you get the feeling that this is far more than just a coincidence and that they and The Kid are somehow linked. He's brought an evil with him to Castle Rock and it won't go away. Levy's performance this week as we learn that she is the niece of Jack Torrance was fantastic and I enjoyed her interactions with The Kid that made for a nice set-piece on the rooftops where it looked like to her, that he was going to jump off. Their unlikely partnership has now meant that she is going to become much more involved in the plot than before, which hopefully will be a good thing as she has been rather underutilized as a side character so far and it would be a crime to waste someone as talented as Levy can be. It was interesting to note that she actually prefers to be called Jackie rather than Diane so that she can sound closer like her deranged Uncle, Jack - and this might be a foreboding hint at grim things in store for her character. Warden Porter is under scrutiny from her superiors so she does the only thing that she can do and make him somebody else's problem, discharging him into the outside world. He gets a home in Molly Strand's loft, but he's not staying put to one location after spending multiple years confined behind bars. He's much more likely to spend the time walking around, and where he walks, chaos follows. An ordinary family is turned against each other, and if it wasn't clear before that he is the person responsible for the townsfolk committing evil acts in the past, he is now. "Are you the devil?" he bluntly asks him, but The Kid tells him no. He has no idea what's happening to him. It's a chilling idea that he might not even be aware of what's going on, and it's a grim sense of foreshadowing that sets the tone. If he's not the Devil then who is he? We know he hasn't aged since Alan first saw him in the trunk of the car, all those years ago. And the fact that it is 27 years ago is no small coincidence, given that Pennywise awakens every 27 years. There's more to The Kid's connections with the Stephen King multiverse than just the casting of Bill Skarsgard, and this foreshadowing is made constantly clear. Hopefully in the remaining episodes, all will be revealed. I do continue to like the way that the show is developing the Molly and Henry relationship. 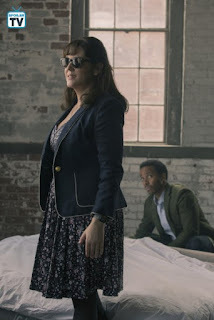 It would have been easy to give Henry the "Shine" as he was the main character but the writers made a good decision in using it to flesh out Molly a bit more, with her episode Local Color being one of the show's finest hours so far. Their relationship has progressed enough to the point that Molly is able to confess the knowledge of her powers to Henry, who whilst doesn't dismiss Molly straight away, isn't entirely aware of what the powers are. They're a completely different ballpark to The Kid, who seems to also be aware of what his powers can do if the fact that he actively went out of his way to avoid touching Henry, which raises several questions. Are they on the same team? Or does is he part of whatever The Kid is planning? The cameras are set up in the Deaver home as a way of countering Ruth's apparent dementia, which prompts Henry to try and get in touch with his son Wendell (Chosen Jacobs, another It actor, and member of the Losers Club), who he tries to get him to see his grandmother one more time before she loses her mind completely. The tension is very much still there and you get the feeling that things are not going to be good for Ruth. But then again, it's Castle Rock and it's a Stephen King story. Things are not going to be good for anyone. What did you think of Harvest? 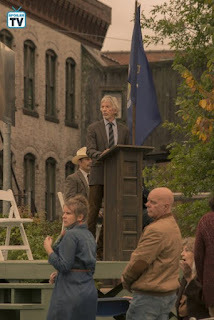 Let me know in the comments section below and be sure to check out the next episode of Castle Rock this Wednesday on Hulu.